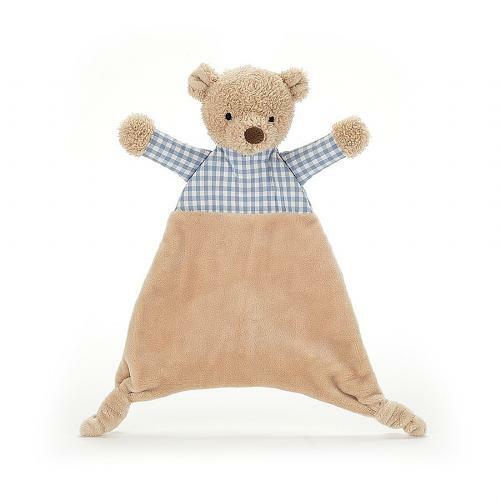 The perfect lolling and snoozing buddy, that's the Thomas Bear Soother! Babies will love the different textures on this ted, from his scruffly head and bobbly nose to his cotton PJ top and velvety tummy. His knotty feet are safe to chew on and he loves to snuggle whenever naptime comes.